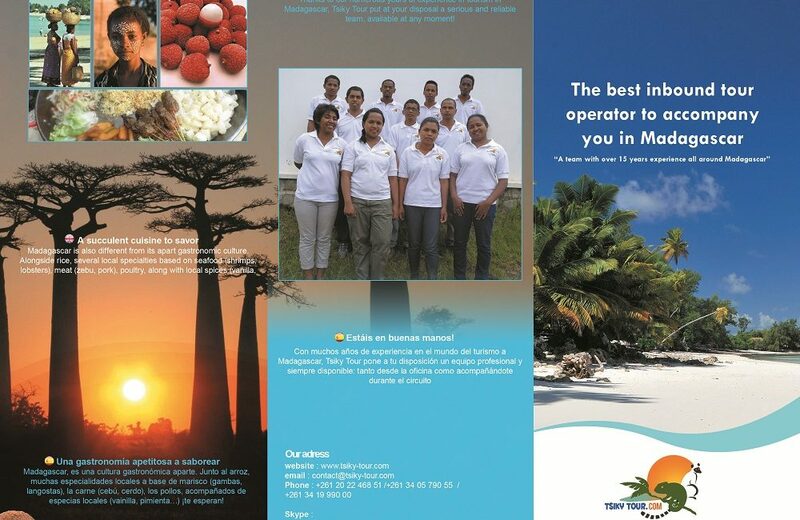 Tsiky Tour is a receptive agency in Madagascar, a brand of our registered company MADAGASIKARA VIATJES, a company specialized in tour operator activity. Headquartered at the Lot II IVT 9 Ter Tsaramasay, Antananarivo, BP 6317, Madagascar, our tour operator intends to introduce you to Madagascar, to show its best assets while allowing you to live a trip of dream. We offer tailored circuit to our customers for more than five years but also various services and sale of products for the European market which lead us to know the exigence of all customers. To plan your trip, a team passionate about their own country and region of origin, Ambositra is here to guide you but to tell you also all the secrets of this island continent rich in tourist attraction and paradisical area. Driver, guide, booking agent, clerk,... are working together to prepare your trip and to make it a successful adventure and well filled in for an unforgettable stay. Anxious to share another image of Madagascar, something other than poverty, our company was founded by natives who want to help the development of Madagascar, its people but also to preserve its unique biodiversity. Apart from the export of the national competence and local production, tourism to help sustain funding the protection of nature reserves and protected areas of the country is an activity that we believe can help to preserve this wealth of Madagascar for the future generations. And to let local communities benefit these added values, responsible tourism and tourism of solidarity are privileged in our approach while maintaining quality.